What if abortion was illegal? I came across an outrageous claim - This may be the greatest YouTube video ever made. I don’t know who wrote a title like that. Take a look for yourself. Overstated just a tad? Somebody took his video camera into a street where pro-Life protestors were located and hot-seated them with the question, “If abortion were made illegal, what should happen to women who have abortions?” He must have thought he was cleaver. In an elementary way he was being rather clever. Of course the question was loaded. If the responder answered that the woman should be jailed for committing murder, it would give fodder for a newspaper column about those heartless pro-Lifers. If the responder answered that nothing should happen to the woman who has an abortion after abortion becomes illegal, … well then, some columnist has fodder for an article that pro-Lifers do not really see abortion as the equivalent to murder at all. It’s a set-up. The woman is as much a victim as the baby. Although the video was American, if the same thing happened in Canada and a microphone was shoved under my nose with that question, my answer would be something like this: The abortionist should be charged and tri ed for something akin to murder. Those who counsel, aid or abet should be charged under Canada's Criminal Code with a new provision that’s equivalent to Section 241 that deals with aiding and abetting in suicide. In more than 20 years of pro-Life involvement, women in crisis pregnancies I encountered were true victims. They were desperate people making desperate decisions. Most were being pressured by boyfriends and/or parents to abort. The real facts were either withheld or downplayed about the humanity of the child they were carrying. They were truly tragic victims railroaded into abortion. Granted, there were occasional instances where a woman could have cared less, had numerous abortions, and used abortion as a form of birth control. But they were rare cases. The vast majority of women were tormented about the decision to have an abortion and many later grieved their decisions to abort. 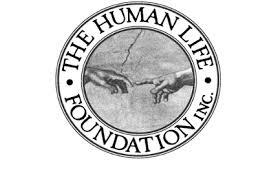 In the early 1980s, I co-founded a Christian crisis pregnancy centre in the city of Edmonton, Canada, under the registered name of Outreach for Life (OFL). Over the last twenty-plus years they have helped literally thousands of women choose alternatives to abortion and make positive life-affirming decisions for themselves and their babies. Outreach for Life has provided complete information not only about pre-natal life but the risks of abortion. They have assisted women who chose adoption for their children to work through that decision and placed children in solid Christian homes. For women who chose to keep their babies, OFL, helped them with childcare, housing, mentoring, life skills, occupational training and an array of other help so they could support themselves and their babies. Churches across the city provide funding to Outreach for Life, and have welcomed mothers and babies into their church families. Article 3, the United Nations Universal Declaration of Human Rights.